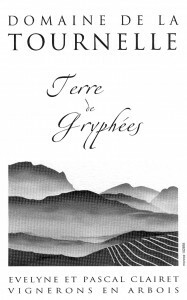 Evelyne and Pascal Clairet created their vineyard in 1991. They work 6-hectares of vines, from which they produce 12 cuvées. 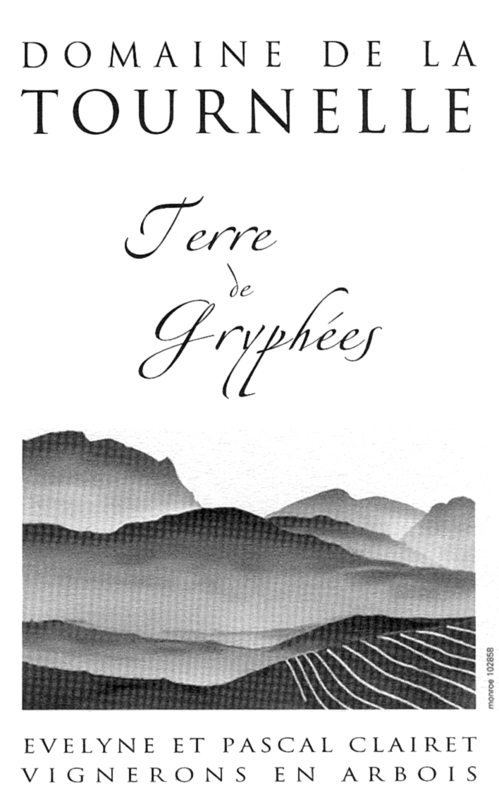 They make traditional wines in the traditions of Arbois, such as the Terre de Gryphons while also exploring new paths, such as the use of carbonic maceration in the Uva Arbosiana cuvée. 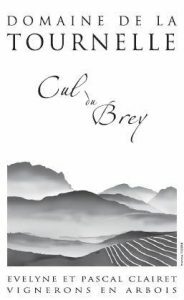 Their methodology and passion is clearly invested in producing wines that represent the tradition and potential that this dynamic AOC possesses. The couple has now opened a little bistro in the center of the town of Arbois. Vinification Method: Grapes are hand harvested in small baskets. Grapes are sorted by hand and destemmed before undergoing a very light press. The fruit undergoes a full carbonic maceration. Only native yeast is used and the juice undergoes a full malolactic fermentation in temperature controlled stainless steel tanks before it is transferred to oak barrels where it rests for 3-4 months. 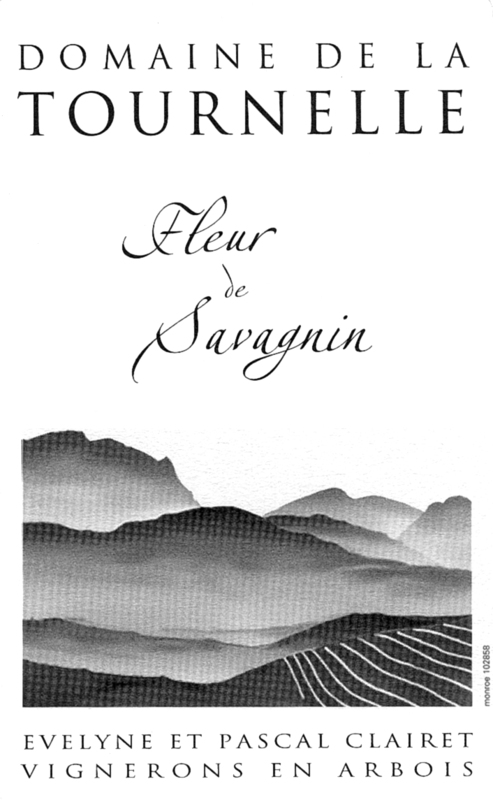 The wine is bottled the following spring without filtration or sulfites. Tasting Note: Scents of homemade strawberry jam spread on freshly baked bread dominates the delectable nose. Nearly pink in the glass with a cherry red core, this light bodied red possesses pretty red berry flavors and vibrant acidity. 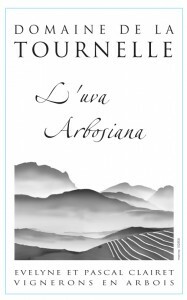 Pairing: Serve before dinner or at picnics, this charming wine works wonders with lighter meats, vegetable pasta dishes, cold cuts, fresh fruit, light cheeses and creamy pastries. Vinification Method: Grapes are hand harvested in small baskets. Grapes are sorted by hand & destemmed before undergoing a very light press. The fruit is macerated for ten to thirty days with treading done twice a day. Only native yeast is used and the juice undergoes a full malolactic fermentation in temperature controlled stainless steel tanks before it is transferred to old oak barrels where it rests for 8 to 18 months. The wine is bottled without filtration. Tasting Note: Spice box and ripe apple flesh dominates the nose. This medium bodied red possesses red and white fruit flavors backed by a succulent bramble underpinning. The wine finishes with savory tannins and a deft note of acidity. Pairing: Herb encrusted roasted chicken, veal chops, vegetable stews, roast pork and aged cheeses. Vinification Method: Grapes are hand harvested in small baskets. Grapes are sorted by hand and destemmed before undergoing a very light press. The fruit is macerated for ten to thirty days with treading done twice a day. Only native yeast is used and the juice undergoes a full malolactic fermentation in temperature controlled stainless steel tanks before it is transferred to old oak barrels where it rests for 8 to 18 months. The wine is bottled without filtration. Tasting Note: Strawberry preserves and cherries. Pairing: Herb encrusted roasted chicken, veal chops, vegetable stews, roast pork or dish with tomatoes, and aged cheeses. Vinification Method: A natural sparkling wine, bottled before the grapes have finished fermenting. 10.5% alc. only, with some residual sugar. This deliciously fun (“on zoue” means “lets play” — but the way a child would say it) sparkler is made from grapes from young vine Ploussard. Tasting Note: Pretty red fruit fun. Pairing: Before dinner or at a picnic! Vinification Method: Grapes are hand harvested in small baskets. Grapes are sorted by hand and undergo a direct horizontal press. Only native yeast are used and the fruit is racked for twelve hours. A cool fermentation occurs in temperature controlled stainless steel tanks. Batonnage occurs every ten days for three months during certain vintages. The wine rests on the lees in old oak barrels for two years. The wine is bottled with a light filtration. Tasting Note: Yellow straw in the glass with pretty scents of dried apricots and almond skins. The palate is rich with mature white and yellow fruit flavors. Yellow apple core, pear nectar and almond paste followed by succulent minerality dovetail into a dry finish. Pairing: Works with fowl, aged cheeses, pork dishes, dried fruits or simply by itself. 33% Marc du Jura (home distilled) and 66% Chardonnay juice. The Marc that has been aged 3 years in barrels is mixed with the Chardonnay juices. Still-racking 12 hours after they are mixed, the next day. Aged for 24 to 36 months in barrels. Bottled without filtering and without sulfites 18 degrees alc. This is a “Vin de Liqueur” with 180 to 220 grams of residual sugar. 33 % Ploussard grapes, 33 % Chardonnay grapes, 34 % Savagnin grapes. The grapes are laid on wooden racks and stainless steel grids in a well-ventilated barn for a higher concentration of the fruits achieved by drying. It undergoes a drying period of 2 to 6 months so as to obtain a potential minimum alcohol degree of 23°. It is left in barrels for 36 months (no new barrels), where light filtration is done before bottling. 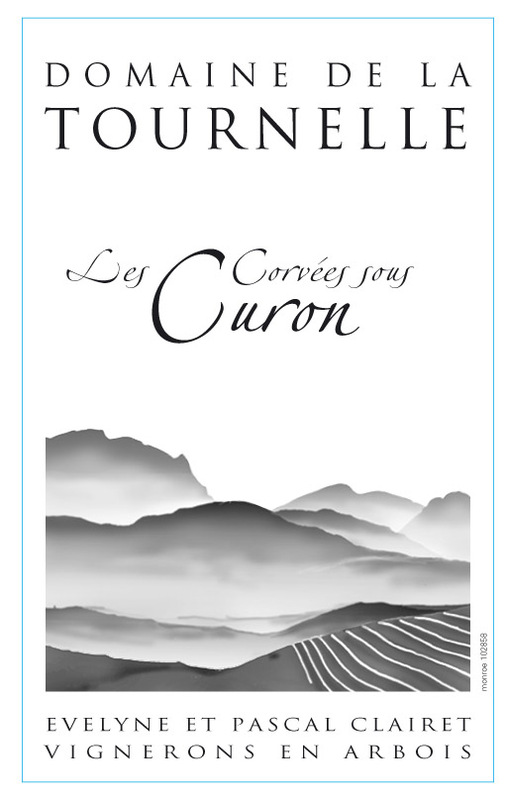 Parcel: The Corvées sous Curon is a special vineyard cultivated by just a few estates in the Jura. It is rich in gravel, limestone and clay. Vinification Method: The grapes for this wine are picked extremely carefully, with a sorting process starting in the vines themselves. Between 0 to 20 mg of sulfur may be added at this time, depending on the strength of the vintages, in particular the level of acidity present. Alcoholic fermentation is started in a temperature controlled tank, then is transferred into 228-liter old barrels to finish fermentation. Malolactic fermentation normally happens in the following spring. 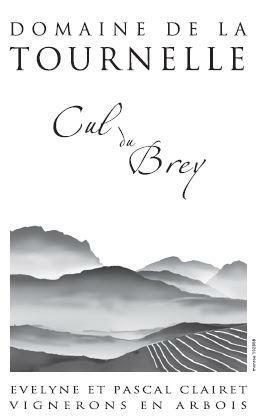 During this whole time the wine is topped up every 10 days (ouillé) without any addition of sulfur. The wine continues to age in barrel for another 18 to 24 months, and may be bottled with 0 to 15 mg of sulfur to preserve its freshness. Tasting Notes: Profound and subtle as when you drink this wine you can tell some serious work went into it to coax the beautiful terroir out of this special parcel. Best drank while wearing a black tie, optional formal wear. Vinification: This wine is only made in vintages where the grapes are of the highest quality. The wine is fermented with indigenous yeast and zero sulfur, when the vintage allows. The wine is fermented in temperature controlled tanks and then moved to large foudre in a special vin jaune cave. It then spends 7 years without addition of sulfur and with no topping up, under cover of a vail of yeast (voile) that slows the process of oxidation. It is then filtered and bottled with zero addition of sulfur.